How to keep your filters clean and your photographs sharp. Before cleaning a lens filter, consult any instructions provided by your camera’s manufacturer, and when buying cleaning products, play it safe by only using those recommended by experts. 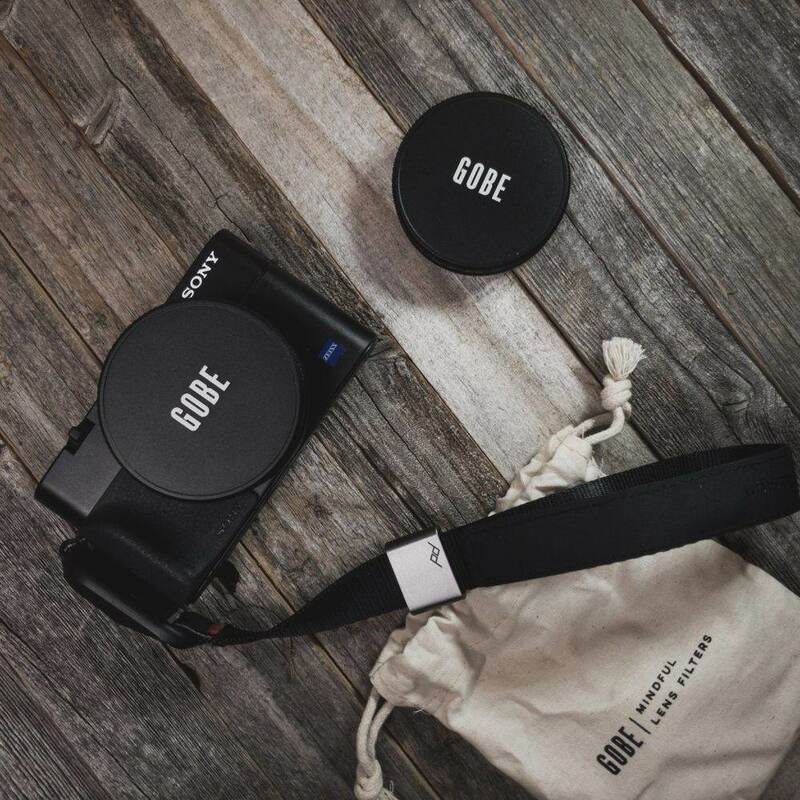 You can buy special lens care kits, for instance. Avoid using general purpose cleaning solutions, as these could damage the lens filter. Begin lens filter cleaning by removing dust or grit that may have settled onto the filter. One of the best ways to clean a lens filter is by using a blower. This is a small, hand-held instrument with a bulb on the end that releases air when pressed. When using a blower, tilt the lens at a slight angle, to blow dust downwards. Some blowers also have a brush on the opposite end to banish dust, but you can buy special lens brushes or pens separately, which do an equally great job at removing dust from a lens filter. Only use a soft-bristled brush designed for cleaning a lens filter, as the bristles of any other brush could scratch the filter’s surface. Blowing on the lens filter using your own breath isn’t a wise idea, as tiny droplets of saliva could damage the filter. This might be the only action you need to take to clean your lens filter, but if you notice smudges or smears on the glass, using a blower or brush alone won’t shift these. In this case, you’ll need to wipe the marks off using a tissue or cloth and an optical cleaning solution. Only use tissues or cloths geared towards cleaning a lens filter, to ensure an effective clean and to prevent scratches. If using tissues, only use them once. 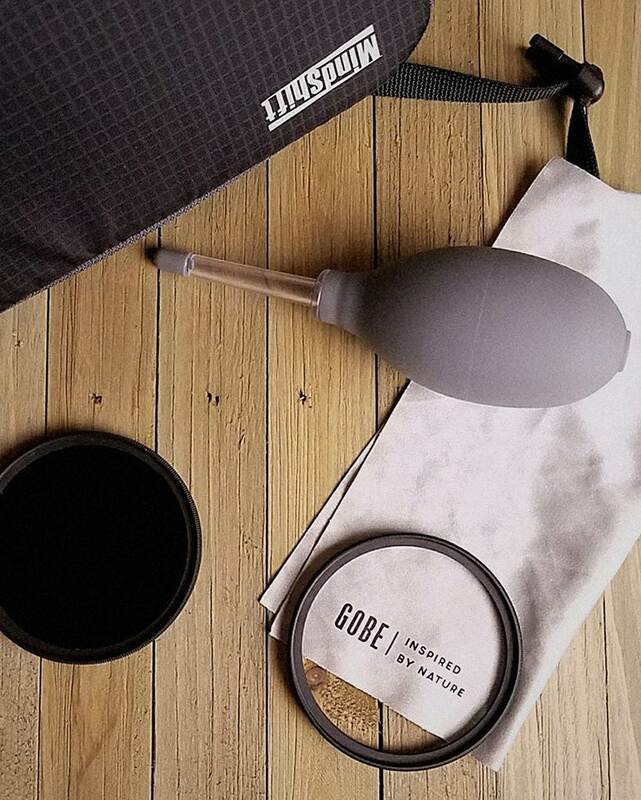 To make life easy, Gobe filters come with their own microfiber cloth. If you’re out on the field and don’t have any cloths/tissues to hand, as a last resort, a clean 100% cotton t-shirt will suffice. However, if you use liquid fabric softeners on your clothes, this could leave streaks on the filter. A lens cleaning fluid will remove smudges from the lens filter, and there are different types to choose from. To remove oil-based smears, use a cleaning solution containing alcohol, whereas a water-based solvent is ideal for getting rid of water-soluble marks on your lens filter. However, never clean your filter using water, and stick to tried-and-trusted products. Cleaning liquids shouldn’t be placed directly on the lens filter. Instead, apply the solution to your cloth and gently wipe the filter, using circular motions, starting from the middle and working outwards. Avoid touching the filter with your fingertips. 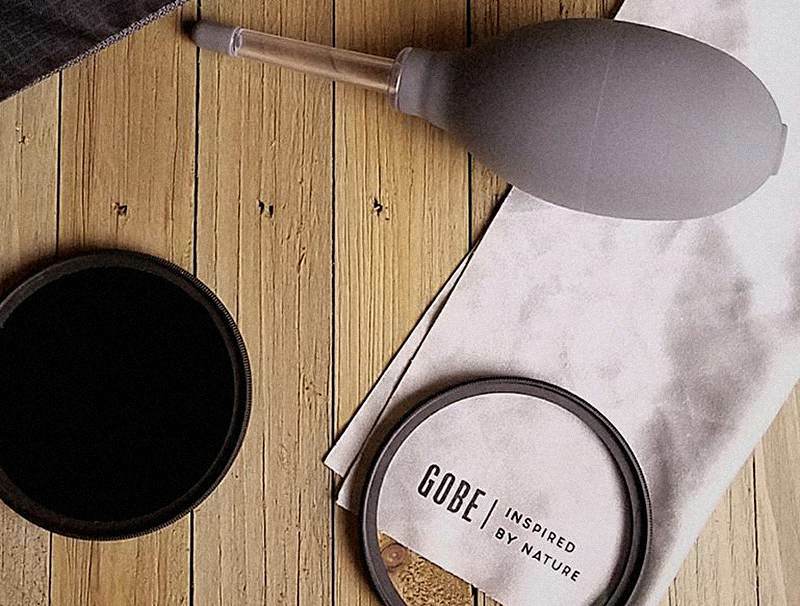 Once your lens filter is spotless, carefully store your cleaning paraphernalia to prevent it getting dirty. Bear in mind that over-cleaning your lens filter can do more harm than good, so only clean it when it’s necessary.